Boston is overdue for a Cat 2 or 3 hurricane, which can beset the area with sustained winds exceeding 100 mph. The last Great Hurricane that struck New England was in 1938, and killed more than 600 people. In 1985, Hurricane Gloria did significant damage to the region, with 70 mph wind gusts in Boston. Signs were turned into flying projectiles, and chain-link fences were knocked over like dominoes. In 1954, Hurricane Carol destroyed the steeple of the Old North Church. Limited Martial Law has been declared several times in Massachusetts in the past 50 years. After the Chelsea Fire in 1973, the city was cordoned off by the National Guard. After the Blizzard of 1978, several cities and towns along the shoreline were closed and curfews mandated. Boston has had many disasters in its history. A little preparation can save one's life. Complacency can lead to a Hurricane Katrina situation with mob rule and the police inadvertently shooting at groups of unarmed civilians. The following article was written by a 20-year veteran of the U.S. Armed Forces, and presents a scenario of a Cat 2+ hurricane in a densely populated area. Typically, during hurricane season, everybody is inundated with messages to prepare early and the mantra is to stock up on candles, batteries, extra water, and canned goods. You can expect to be without electricity, water, and heat if a hurricane makes landfall. If one lives in an apartment, it is unlikely that you can prepare for the disaster by adding such things as plywood over doorways and windows, and you cannot prune tree branches back that may break and cause damage to the structure. However, there are things that you can do to enhance your situation. This article talks about what you probably should have on hand as far as emergency supplies, under ideal circumstances, and will further discuss what is most likely to be the reality in an apartment during a large hurricane or any natural disaster. Due to various reasons, some individuals and families may be left to forage for supplies in their very own apartments. The following list should be adapted for individual needs such as prescription medications, medical devices to include portable oxygen tanks, eyeglasses or contacts, etc. A category 3 or 4 hurricane is expected to make landfall in the next 24 to 36 hours. One lives in an apartment and can only hope it is structurally sound. You can expect wind gusts up to 130 miles per hour during a category three hurricane and wind gusts up to 155 miles per hour during a category 4 hurricane. The storm is bearing down and you are not as prepared as you would like to be. It is assumed that your apartment is not damaged to where it is uninhabitable. If you have any type of tape at all, duct tape is preferred. You can help prevent injuries from flying glass by taping an X on every pane of glass, from corner to corner, and then taping or tacking blankets, sheets or any material over the windows. This will keep the glass from shattering and blowing into the room. Pay particular attention to sliding glass doors that lead out to a balcony or patio. Tape the glass to prevent shattering and place a barrier between the glass and the room. Use blankets, mattresses, sheets and even furniture. Once the storm has passed, you will need the light from the window if it is not shattered. Remove any objects from the walls in particular, any objects that may fall on a person while sleeping. 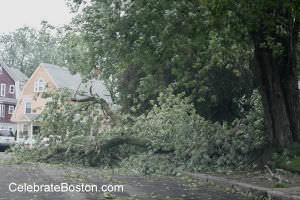 Do not look out windows or doorways while the storm is raging. Debris will be flying everywhere, possibly striking your windows and doors. Gather any supplies you have and place on a counter or table. Try to find any containers that can hold water. Ensure the containers are safe for drinking water. Once the power goes out you may very well be able to draw water from your faucets. However, the water treatment plant may have been damaged, not operational, understaffed or not staffed at all, so you must assume your tap water is contaminated from the point the hurricane makes landfall. Draw off what you can and keep the water from the faucet separated from any emergency supply of water. You will not have any water available from your tap after about an hour. The tap water must be purified before it is considered safe to drink. Fill your bathtub(s) and use that water to flush your toilets. Most toilets will self-flush if you pour water directly into the bowl. Today, toilets take about 1.6 gallons to flush. A bathtub can hold between 30 and 50 gallons of water depending on the model. You must begin water collection as soon as you are convinced the storm is inevitable. You can also use the water in the tub once purified, for drinking and oral hygiene. Note: Water can be purified by using 5% chlorine bleach. The ratio is based on quarts, and one may have various sized containers. You must know the water volume to purify your drinking water to make it safe to drink. Chlorine bleach will destroy bacteria, parasites and any pathogens that may be in your drinking water. The ratio is two (2) drops of bleach per one-quart of water. Shake the container well and allow 30 minutes before drinking. Purify water for brushing your teeth and treating any cuts or wounds. Simple math tells you that if you are purifying by the gallon the ratio is eight (8) drops per gallon. Convert for five-gallon containers and so on. Note: Boiling water for purification is the preferred method in any survival situation. However, you are probably without electricity and/or gas and simply do not have the means to boil your water. In the event you do have access to fire and you do have a suitable container to boil water in the method is as follows. At sea level water must rapid (rolling) boil for a minimum of one minute. At higher elevations, above 7,000 feet, water must boil for a minimum of three minutes. The reason you must boil water longer at higher elevations is because water boils at a lower temperature, usually around 198 Degrees Fahrenheit or 92 degrees Celsius. This is due to less air pressure at higher elevations. Water at sea level boils at 212 degrees Fahrenheit or 100 Degrees Celsius. Therefore, it does not have to boil as long at sea level to achieve the same results. Foods in your refrigerator can last between four and six hours, depending on the cold setting and how much food is in there. Frozen foods can last up to 48 hours. If you have a relatively full refrigerator, the food will last closer to six hours. Avoid letting the food spoil in your refrigerator. Spoiled food will create odors, harbor bacteria, and attract insects and rodents. Remove spoiled food to a barrel or dumpster if possible. Breads can be removed from their wrappers to prevent mold. Allow bread to go stale to remove the moisture. Cheese, produce, flavored drinks and most baked goods can stay on the shelf for several days. Once the power goes out shut off the main breaker to the apartment, damage to wiring can create a fire hazard once power is restored. Have a professional inspect the structure before turning the breaker back on if you suspect your wiring has been damaged. Turn off any gas valves as well. Using the gel cans, you can begin cooking perishable foods for consumption within the next 24 hours. Cook all meats well done to remove as much moisture as possible. Note: To cook with gel cans place objects, such as two bricks, stones, or any non-flammable objects next to the gel cans to elevate whatever pot or pan you are using for cooking. This raises the pot above the cooking gel. Placing a pot or pan directly on top of the can will smother the flame and create an unstable cooking surface. Each person should wrap themself in a solar heat blanket, sheet, blanket, tarp, or any protective material once the storm hits. Get close to an inside wall, and do not huddle under any skylights, or near a brick fireplace. Do not have any candles or heat gel cans going during the storm itself. You can survive quite easily for three days without substantial nourishment. It would be uncommon not to have some type of food, such as crackers, beef jerky and snacks in the apartment. You cannot however, go longer than three days without hydration. You can hydrate yourself from the juices contained in canned vegetables, fruits and certain other canned foods. High protein meals or snacks require more fluids to digest. Medical experts will likely tell you that you cannot survive longer than three days without hydration. However, the hours and days leading up to dehydration will be painful ones. Water is critical for your survival, as well as shelter. Most people can survive up to three weeks without any food. Once the storm has passed, you now have the aftermath to deal with. Avoid going out into the streets, there will be looters and people that are not as prepared as you are. They will be desperate for food and water. Friends, neighbors, and strangers will do things they would normally never do because of panic. Being prepared and knowing what to do in any situation will stifle panic and allow you to carry on. Training and knowledge will get you through any survival situation. If you have a ground floor apartment, you should take precautions against forced entries through doorways and windows. If you live in an upper level apartment, you should barricade your entranceway. Unless you have materials to barricade windows in ground floor apartments, the only thing you can do is make it more difficult to gain entry. Tape your blinds to the moldings or flat against the windows. This will slow down any intruders and give you warning and time to make an escape out the door. Place heavy furniture in front of your main entrance to stop someone from kicking the door down. Most intruders will not put much effort into gaining entry, unless they have specifically targeted the apartment. They will in many cases, move on when they see how difficult you have made it. If someone attempts to gain entrance, they are most vulnerable as they squeeze through a window or as they come in a door. People when they are sprayed in the face will instinctively raise their hands to their face; anything in their hands will be dropped. Place brightly colored cloth or material where it is visible to rescue personnel. This will alert emergency workers that someone is in the apartment and may require help. Typically, it takes 72-hours for a rescue operation to commence. This does not mean you will not be in contact with the authorities within this period. They will prioritize, and will begin operations in areas that suffered the greatest damage. Their main concern at this point is saving lives. Law enforcement will only respond to life threatening situations. They will probably ask you to file a report when things have calmed down. Ignored calls will include non-injury car accidents, thefts and acts of vandalism. Unless you are in immediate danger and fear physical harm, it is a good idea that you just document any incident(s) for reporting later. Looters, like any criminal element, will pick the easy targets first such as retail stores, liquor stores and so forth. Do not make yourself a target by going out into the streets. Other people that live in your apartment building that are not as prepared as you will also be looking for help. People will panic because they do not know what to do next. That is why people are crushed by others when trying to escape a burning building. It is called blind panic. You will have some tough decisions to make if neighbors and friends come knocking looking for help. Offer what you can if you feel safe doing so, and it will not have an adverse effect on your survival. Offer them information and knowledge. Self-reliance is one of the most important aspects of surviving any situation. Footnote: Don't go to the ocean to view the huge waves during a hurricane, you can get swept out to sea! Also, if the eye of the hurricane passes over your location, don't wander the streets believing the storm is over. You can look up and see completely clear skies or stars above, and moments later be hit with massive sustained winds.